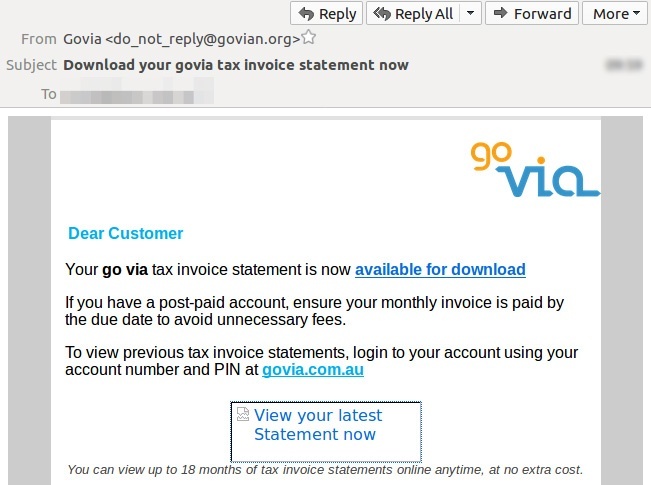 There’s a new email scam out today linking to a fake Go Via invoice. MailGuard detected this email attack mid-morning today. At the time MailGuard intercepted this email, no other security vendors were detecting it.